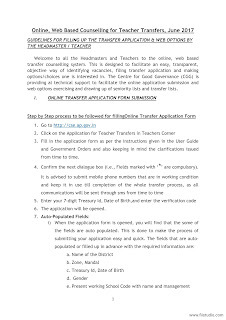 Welcome to all the Headmasters and Teacherstothe online, web basedtransfer counselling system. 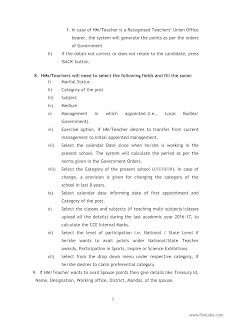 This is designed to facilitate an easy, transparent,objective way of identifying vacancies, filing transfer application and makingoptions/choices one is interested in.The Centre for Good Governance (CGG) isproviding al technical support to facilitate the online application submission andweb optionsexercising and drawing up of seniority lists and transfer lists.I. 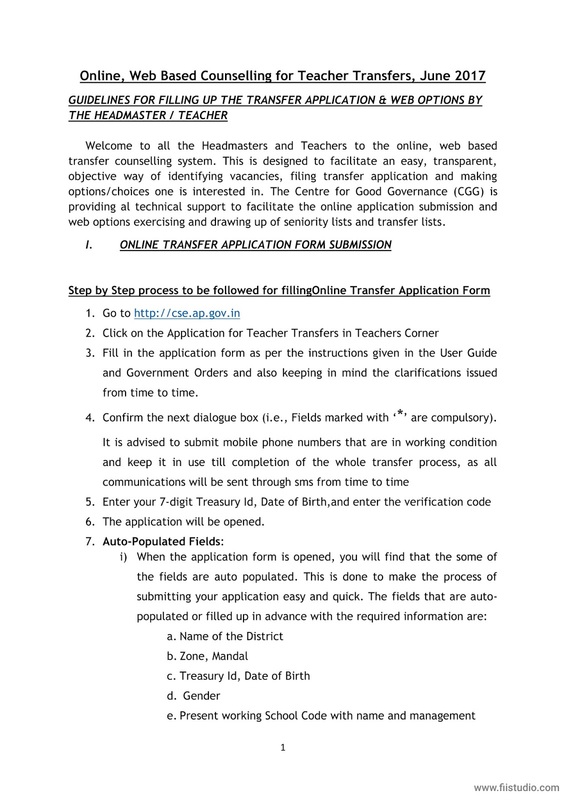 3.Fill in the application form as per the instructions given in the User Guideand Government Orders and alsokeeping in mind theclarifications issuedfrom time to time. 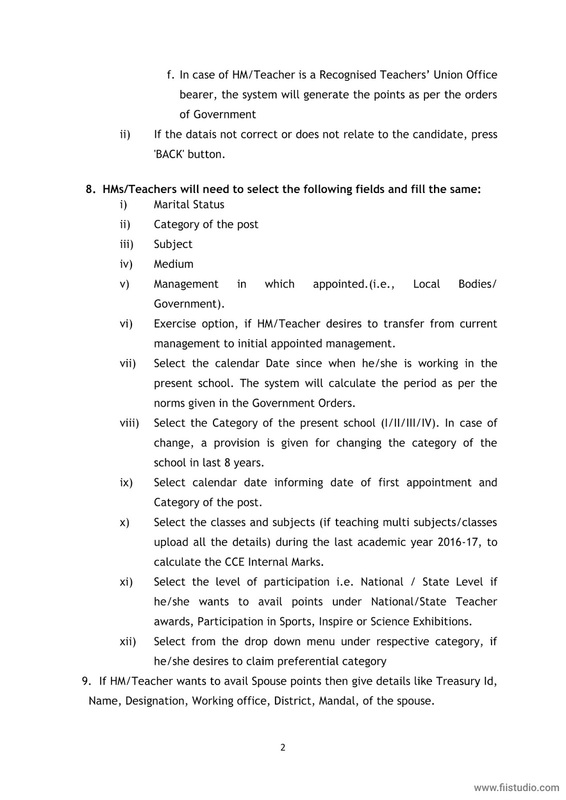 6.The application will be opened.